Join us as we look back at how dyslexia testing has evolved since we launched the first computer-based dyslexia test in 1997. Having seen four decades of progress in dyslexia awareness and provision in the UK, there sadly continues to be many people with dyslexia today still slipping through the net. We admire and support organisations such as Made by Dyslexia, local dyslexia associations, The Dyslexia Association and the British Dyslexia Association that are fighting hard to change this. When first created in 1997, Pico’s computer-based dyslexia assessment, The StudyScan Suite, was an innovative concept. This was the first adult computerised dyslexia test to be produced and somewhat ahead of its time. Not many people had a personal computer; let alone access to mobile devices and social media. It was no wonder that the idea of computerised testing was treated with a degree of scepticism. Twenty years on, the situation is largely reversed. Working online is the norm and it is the pen and paper test that could be considered somewhat incomplete in its scope, when testing relevant skills for current day requirements. Two decades later, the situation is largely reversed. Working online is the norm and it is the pen and paper test that could be considered somewhat incomplete in its scope, when testing relevant skills for current day requirements. However, in Summer 2017 a tweet from an adult dyslexic (@samthedyslexic), who acts as a dyslexic representative for the public sector, asked ‘Is it fair to have to pay to be dyslexic? Many adults cannot afford the £500+ required to get a full assessment and therefore remain undiagnosed and ‘suffer in silence’. A sad situation after 20 years of affordable online testing. Our goal was to create a new breed of online dyslexia test. It would be affordable and easy to use on all devices. It would provide valuable insights into areas of difficulty and highlights dyslexia symptoms, whilst providing tips for improvement. QuickScreen was launched in 2017. The screening programme is based on our well-established existing tests for dyslexia (QuickScan and StudyScan), but the analysis process and reporting is new. Quickscreen has been created to assist those people who are aged 17+. It can be accessed by individuals or via organisations that utilize a management portal for multiple candidates. It is inexpensive, easily accessible on all devices and comprehensive in content and report delivery. It can be completed in less than 1 hour (or in stages). Unlike other computer based screening tests for dyslexia, QuickScreen provides a more extensive cognitive and literacy skills report. The test provides results in the categories of none, borderline, mild, moderate and strong indications of dyslexia. It also identifies results for a wide range of other skills. Each result is presented in a written format and accompanied by a bar chart using a traffic light system for scoring. Full guidance for future action is provided. Within the first three months of offering QuickScreen to the public via the BDA website, thousands of adults took advantage of this service. Our programmes have been used in Further and Higher Education, Sixth Form Colleges, Secondary Schools and a number of other leading institutions and organisations with training requirements. Most recently Hampshire Police featured QuickScreen at their Dyslexia Wellbeing Conference, with the aim of introducing a relevant, affordable and accessible service. An independent study found that QuickScreen has been shown to have a ‘strong statistical correlation between an independent dyslexia diagnosis and the QuickScreen test indicators’. An initial study carried out in 2016 with Student Support and the Psychology Department at Cardiff University concluded that anyone who gets a mild, moderate or strong result on QuickScreen is highly likely to be dyslexic. “If Quick Screen was made available to all students online as a result of this study, more students who are concerned they may have a SpLD may be encouraged to seek help from Student Support.” Another comprehensive study is currently being analysed from 2017. Read more information about all our research. Although the original StudyScan solution is not sold to new customers now, the online QuickScan Questionnaire is still alive and kicking and used by individuals or organisations. QuickScan is well established and used by universities, colleges and public sector staff. It has been featured in numerous research projects and teacher training programmes, written publications, a TV documentary and Hansard. QuickScan is a quick and easy questionnaire that takes approximately 10-15 minutes to complete. The resulting report indicates any of the following symptoms – dyslexia, dyspraxia, visual stress, confidence as a learner, difficulties due to English as a second or third language, general problems with study skills and a possible need for maths support. It highlights any of these areas if they are a cause for concern, together with suggestions for how to use one’s preferred learning style to optimum advantage in study and work situations. An extended report is produced for tutors and administrators together with a graph showing any issues with reading, writing, spelling, sequencing, organization and memory. 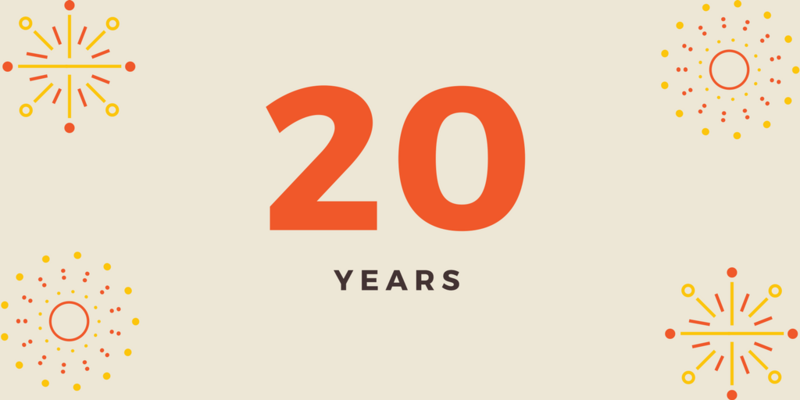 We hope our 20 years of experience creating software for the screening and assessment of dyslexia, learning styles and cognitive profiles, at an affordable rate, will support many students and adults for years to come. What are your experiences of dyslexia testing? Please contact us if you have any questions or thoughts to share. We’d love to hear from you.